Would teeing it forward bring greater enjoyment? To speed up play and make the game more fun, should more golfers play off forward tees? Professional golf has advanced hugely in the past 50 years. Technology, technique and player conditioning have moved on to the point where the average Tour professional is able to hit the ball some 25% further than half a century ago. Expectations of the capacity of the average player to ‘send it out there’ further have also been raised and, as a result, many golf courses have been lengthened with the tees pushed back. Clubs have been keen to protect the challenge posed by their course, and golfers’ egos have seen them accept the retreating tees. 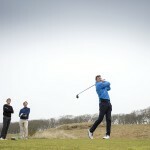 But, is playing from pushed-back pegs a good idea for the average UK amateur golfer? Does it make the game too hard and a round of golf too long? Should clubs, and individuals, be more prepared to swallow their pride and move to forward tees? In The R&A’s recent pace of play survey (released in April 2015) 60% of respondents said they would enjoy golf more if rounds were shorter. A key argument for teeing it forward is that it would be a potential method for reducing the amount of time a round of golf takes. Chopping, say, 1,000 yards off a course’s length by playing from forward tees should mean a group (of average ability) will take fewer shots, reducing round times. By teeing it forward, hazards could be taken out of the equation on some holes – fewer lost balls and fewer provisional balls being struck would surely equal less time taken to complete a round. Also, it might not be necessary for the average player to give the driver the full treatment just to reach a fairway or get far enough down a par 4 to reach in two blows. 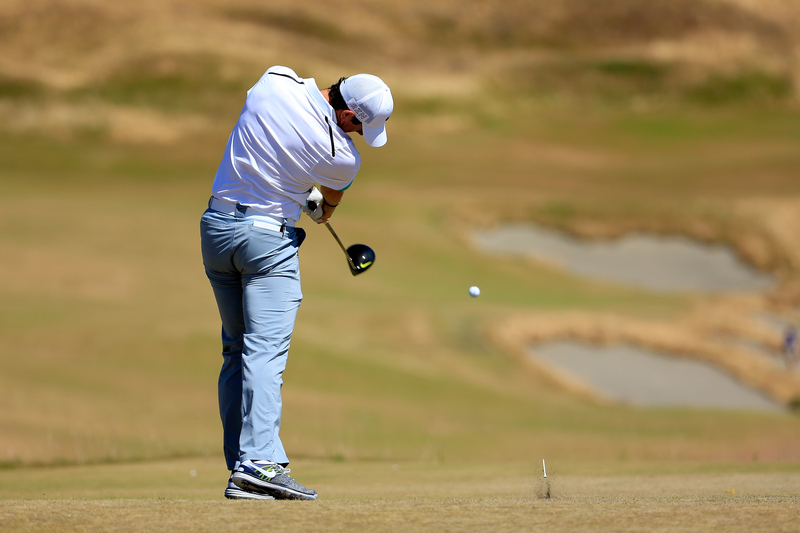 It might be possible to play more conservatively and find the fairway more easily. This might mean fewer wild shots into the rough, fewer forlorn, five-minute searches and fewer instances of that time-sapping trudge back to the tee. Almost every overseas course has multiple tees but they do not have dedicated medal, men’s and women’s tee boxes. Instead the teeing options will generally be colour coded – golds, blacks, greens and whites for instance. These allow individuals, men, women or juniors, to play the course at the length that suits them. Thus the top players and gunslingers can attempt the track from the tips. Others, of more modest ability, or with a more realistic understanding of their game, can select a set of tees that will allow them to glean the greatest possible enjoyment from their day’s outing on the fairways. There are often suggested handicap guidelines for each of the teeing options at these courses: not a requirement, just a gentle recommendation aiming to encourage golfers to play from the tee boxes that will suit them best. There should be no machismo surrounding this, just sensibility. In the UK, many clubs retain a historic attachment to a regimented system of tees – whites, yellows and reds. The whites are for competition use only, the yellows for men and the reds for women. This doesn’t allow for much flexibility. Visiting men are simply expected to play off the ‘boxes’, whether they’re a 21-year-old bomber off scratch, or a 75-year-old playing off 20 who can carry the ball 150 yards on a good day. Surely there’s room for greater choice, and less stigma should be attached to playing off the ‘ladies tees’? There might be a requirement for a set of tees exclusively for women’s competitions, but this doesn’t mean there couldn’t be another set of boxes in the vicinity for general use. If colour coded, say ‘the blues’, there could be a mixture of tees on different teeing grounds on different holes, producing a shortened men’s (or slightly lengthened women’s) course. That would allow more people to get round faster and have more fun playing. A counter argument for teeing it forward is that lessening the difficulty of golf is effectively a step backwards for the sport. One of the things making golf such a compulsive and interesting game is the fact it is so hard to master. The eternal quest to conquer the unconquerable beast is, arguably, golf’s most compelling attribute. Perhaps teeing it forward would dull the inspiration of this pursuit and actually make the game less enjoyable. Playing off tees that maximise the test can only add to the satisfaction of a good round. Finish a game with a decent score having played a course near its full length and you can truly feel you’ve got to grips with a layout. Post a reasonable score playing off forward tees and there will always be the niggling knowledge that the potential challenge of the course had been diluted. Another reason that golf is such a fascinating and complete sport is that to succeed in it, one must display a diverse array of skills. Power is, and should be, one of them. Teeing it forward diminishes the requirement for powerful hitting, thereby lessening its importance as a component of good golf. This might suit those who don’t possess the ability to hit a long ball. But what about those who do? It’s not just elite players that can send it out there. There are plenty of high-handicappers who rely on their long games to counter struggles around the green. By teeing it forward, the advantage of the long hitter is negated to the benefit of those with good short games. This limits the type of golfer who can succeed and clearly will not be a more enjoyable option for all. And would the shortened course really make such a difference to speed of play? In only a few cases would it dramatically reduce the distance travelled over 18 holes. At many courses in the UK, you’ll walk off the green to the next tee, passing the tips as you make your way to the boxes. a layout of 6,500 yards. The answer to whether we should tee it forward is probably: “we should have the choice.” More clubs in the UK should follow the international example of providing multiple teeing options to suit golfers of varying standards and requirements. And golfers shouldn’t view it as emasculating to move up a few yards on the tee box to make a course more playable and enjoyable.